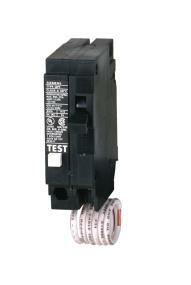 GFCIs protect against electrical shock that result from ground faults. 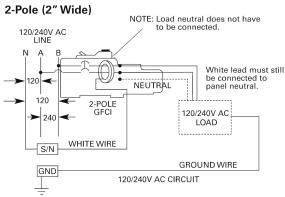 Ground faults occur when electrical current in devices stray outside of its normal path. A human body can become part of this circuit, which results in an electrical shock. GFCIs analyze the amount of current entering and existing from the circuit and will trip when the difference is greater than a certain value. 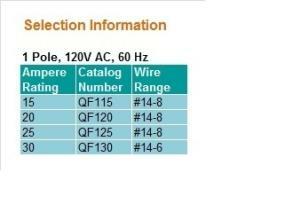 Siemens GFCI circuit breakers are UL Listed and CSA Certified as Class A devices. 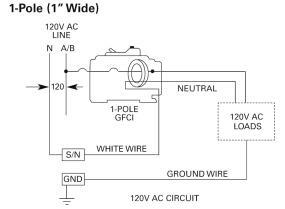 Current imbalances of 4-6 milliamps or more between load conductors will cause the ground fault sensor to trip the circuit Breaker. Note: A load neutral is not required on the circuit. 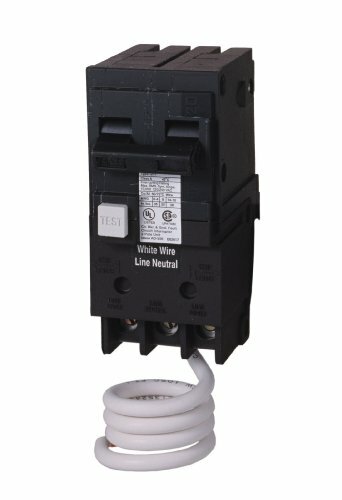 However, the white line neutral (pigtail) must be connected to the panel neutral for the device to function. The Siemens 2-pole GFCI circuit breaker can be installed on a 120/240-volt AC single phase, 3-wire system, the 120/240-volt AC portion of a 240/120-volt, 3-phase, 4-wire system, or on a 208Y/120-volt, 3-phase, 4-wire system. When installed on these systems, protection is provided for 2-wire, 240-volt AC or 208-volt AC circuits; 3-wire, 120/240-volt AC circuits. 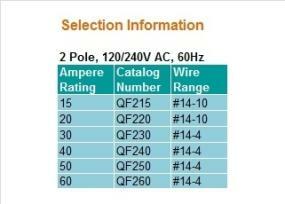 The Siemens 1-pole GFCI circuit breaker is to be installed only on a single phase 120/240-volt AC system.